After the Boaracay Mansion and the P1M a month office that the Vice President Leni Robredo is renting, more and more of her and her family's luho or guilty pleasure is surfacing and being looked at. This time, the interest came when she was asked what her luho is. She said that together with her family, their guilty pleasure was traveling. According to her, they did not have guilty pleasures of cars, houses or even clothes. They just love to travel as a family. "Ang sa pamilya ay biyahe. Wala kaming luho sa sasakyan, bahay o damit. Sa amin talaga biyahe, meron kaming travel fund." This was taken from an interview from July 2016. 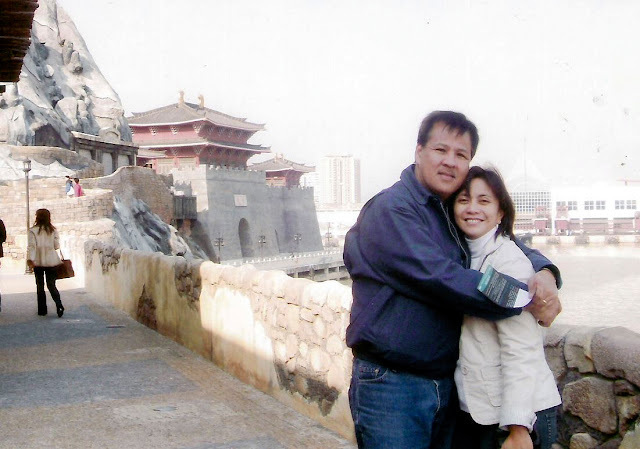 Taking a look at it further, the funds that they use for travel were taken from her late husband Jesse Robredo's winnings from the Ramon Magsaysay Award which amounted to $50,000 or roughly P2,250,000. The family deposited the whole amount in a Time Deposit and withdrew the interest for their travel funds. According to her also, if the interest that they withdrew was not enough for the travel, they would postpone the travel and just go ahead when they have enough. Yet, taking a look at it a bit further, the amount that Jesse was awarded with never appeared in Leni's SALN or Statement of Assets, Liabilities and Net Worth for 2015, when it should have reflected because her husband is gone and she should have gotten that to her name already. Add to that yet another undeclared amount of P500,000 that was given to her as third party liability by the aviation insurance policy of Malayan Insurance for the death of her husband. This amount was clearly reflected in the letter that was sent by Brig. Gen. Rodante S. joya of the Civil Aviation Authority of the Philippines of the DOTC or Department of Transportation and Communications where Jesse's death was entitled to. And of top of that all, Leni also has an undeclared property in Metro Manila at Lansberg Place at Tomas Morato Quezon City as part of her real properties. At that time, she reasoned that she was not aware of the property. Can you imagine have bunch of travel funds and a house to live in that you are not declaring just so you won't have to pay taxes?